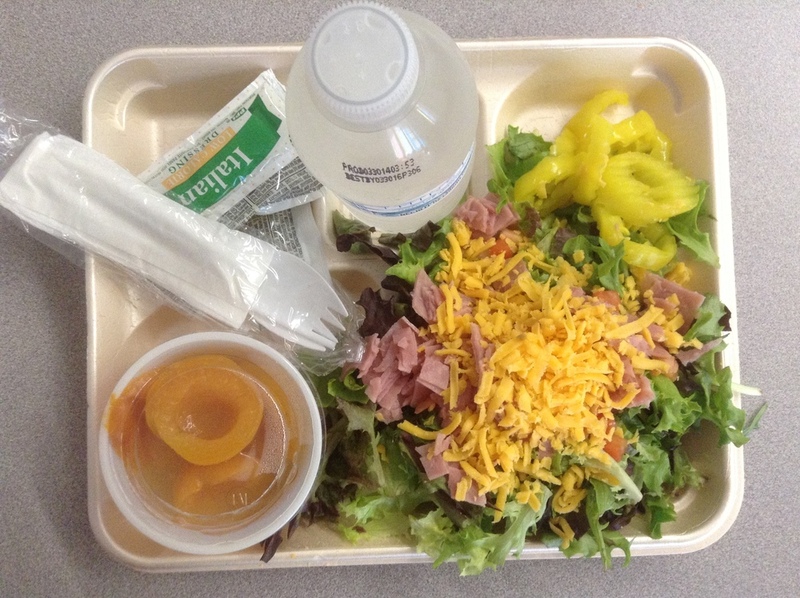 In light of all the recent controversy surrounding Michelle Obama’s school lunch initiative, students at a public high school in Detroit provide commentary on a week of school lunches in June. 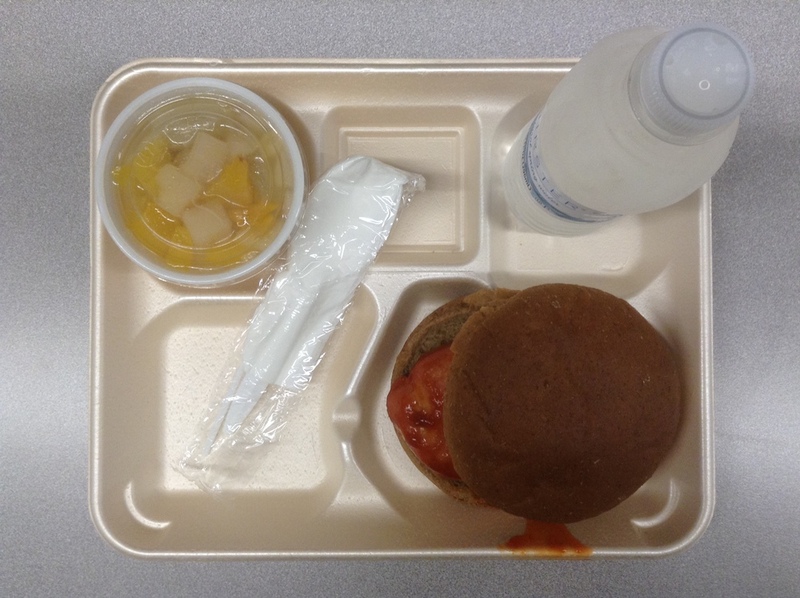 Pictured: BBQ chicken burger, mixed fruit cup, and bottle of water. "I just, I just can't eat it! I don't know what it is." "I ate one once before. It tastes rubbery." "It makes no sense. It's a rubbery chicken patty that tastes so dry, and they put the little sesame sauce on it just so it can taste a little bit moist. Bread's just dry, and they give you this small little portion of water like it's gonna quench your thirst?" Pictured: Philly cheese steak, macaroni and cheese, side salad with Italian dressing, pear, and chocolate milk. Pictured: Meatballs, whole wheat bun, pineapple cup, and bottle of water. 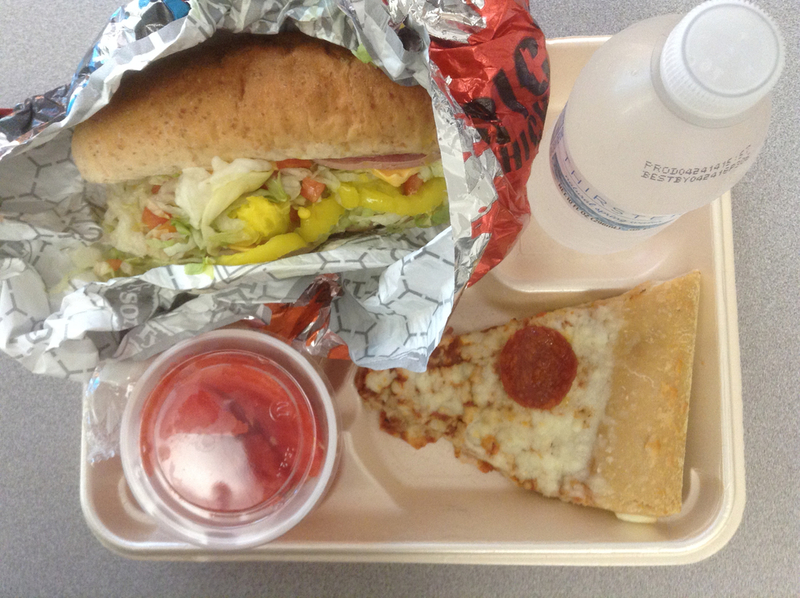 Pictured: Sub, pepperoni pizza, watermelon cup, and bottle of water. Pictured: Salad, Italian dressing, peaches, and bottle of water. *Student's name has been changed.